2.) 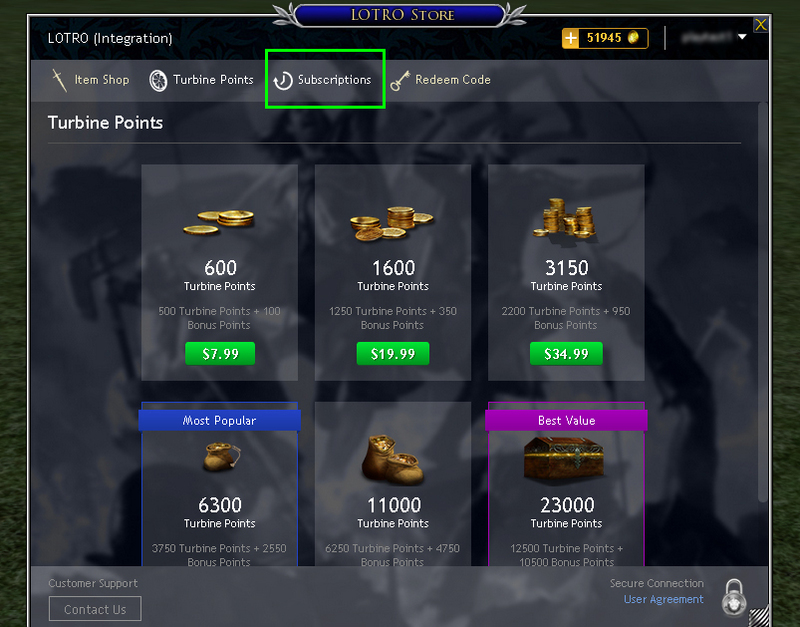 Open the store by clicking the "Store" button. 4.) 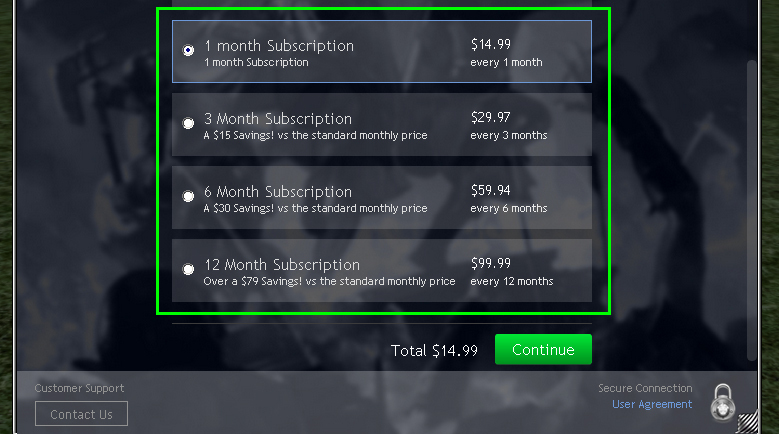 Choose the subscription option that best works for you. Click "continue"
6.) If you don't have a payment method on file, enter your billing information, and click "Pay Now"
7.) 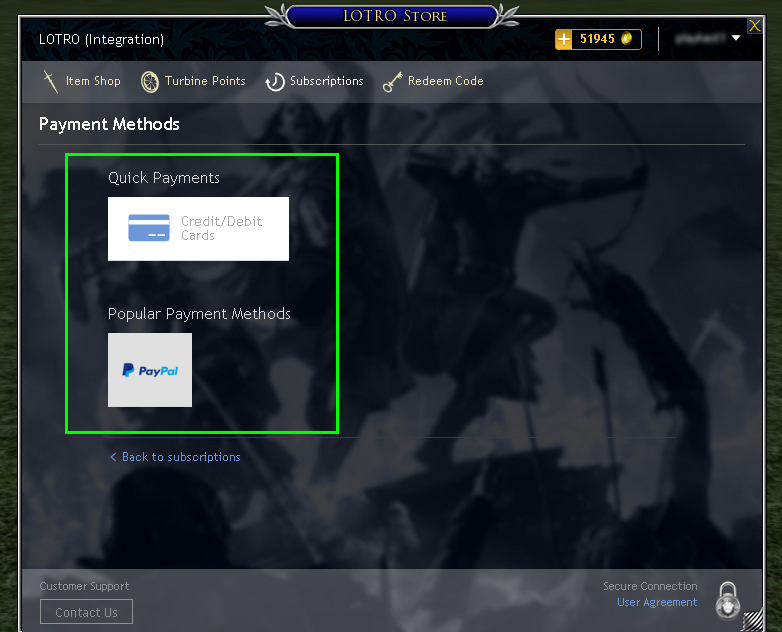 You'll have a confirmation that your payment for your subscription went through. You're now a VIP! 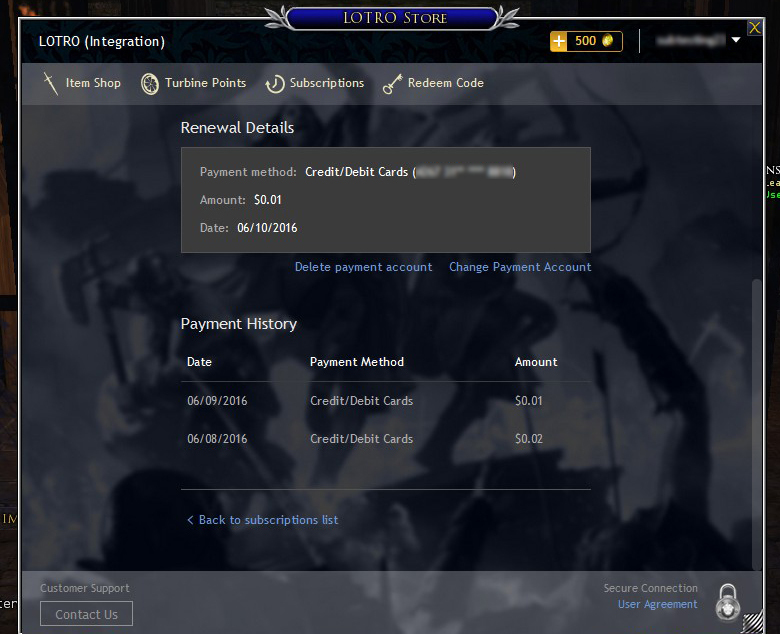 How do I update and maintain my subscription? 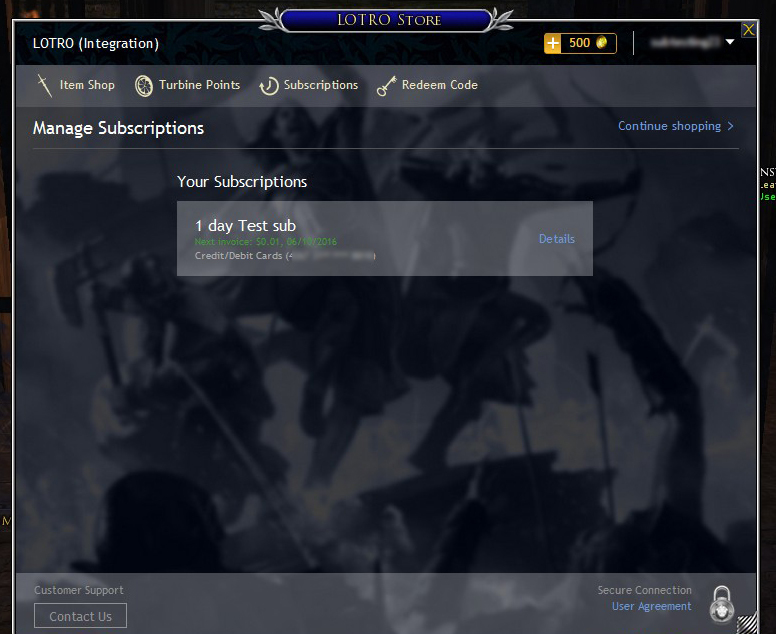 Click on "Manage Subscriptions" under your log in ID. This page will show you your active subscription, your next billing date, and the ability to renew immediately if you so choose. Click on "Continue". 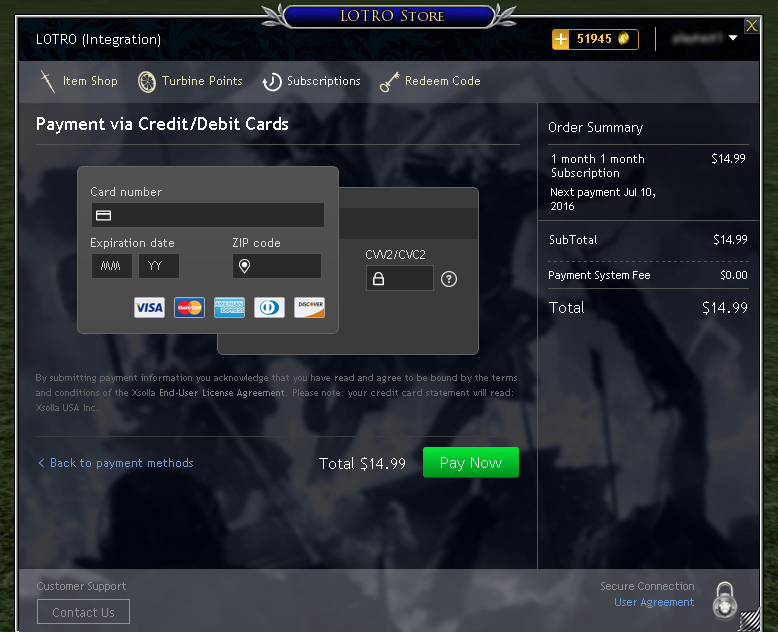 You'll be brought to the "Payment Method" screen. Simply choose a Payment Method that works and click "checkout". Just like Turbine Point purchases, you will be charged immediately and the time added to your account. At that point you'll be in the new subscription plan. 2.) 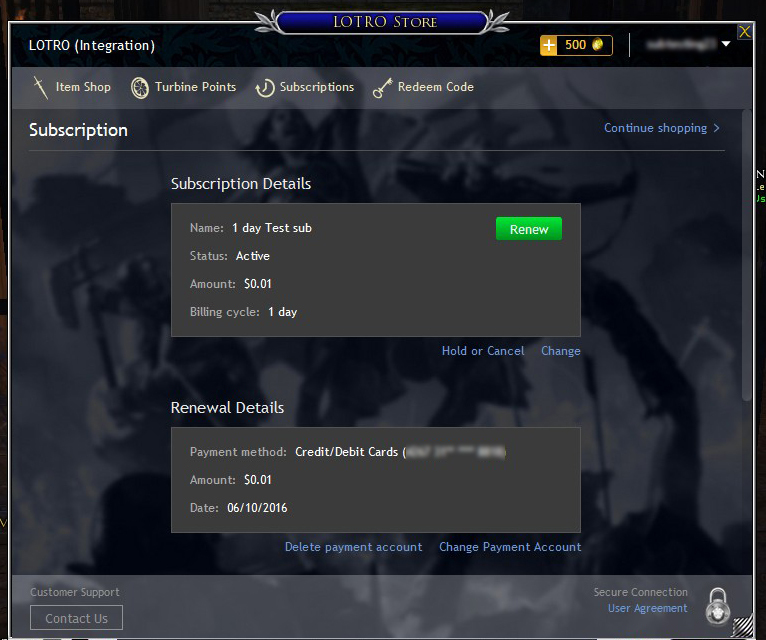 Clicking on "Manage Subscriptions"
This page will show you in more detail the plan and billing information for your subscription. 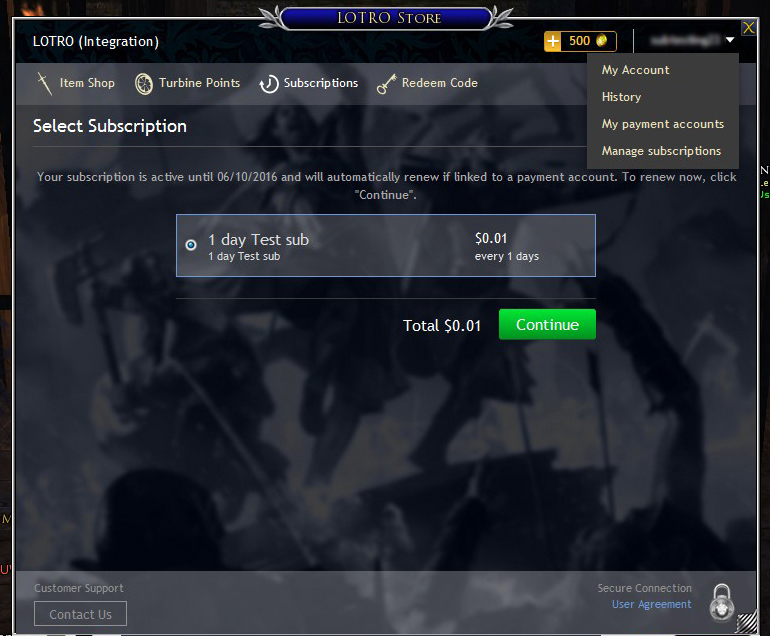 subscription you're on. Scrolling down you can see more about your Renewal Details and past Payment History.